A lawsuit has been filed in Maui’s environmental court over a 400 foot seawall proposed for construction at Kahana Bay in West Maui. 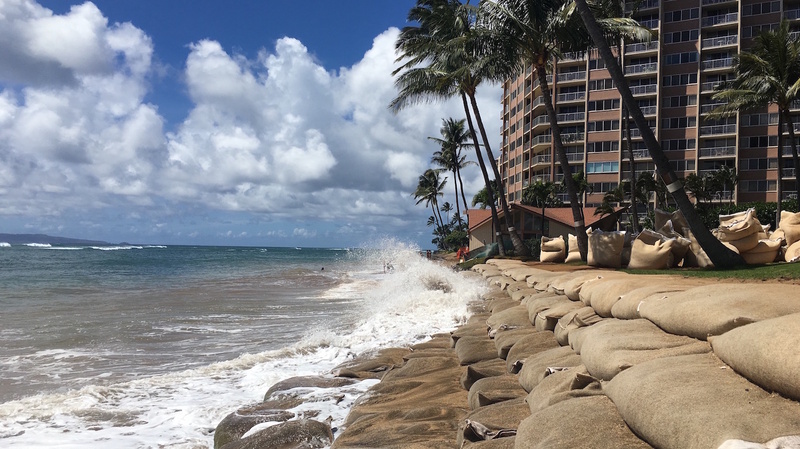 Sandbag barrier in Kahana where condominium properties are threatened by erosion and high waves. File image 2017 Credit: Tara Owens via PacIOOS. 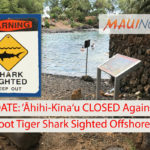 Nā Papa‘i Wawae ‘Ula‘ula, West Maui Preservation and Native Hawaiian fisherman Felimon Sadang filed the suit seeking to reverse the Board of Land and Natural Resources’ summary denial of their request for a contested case. 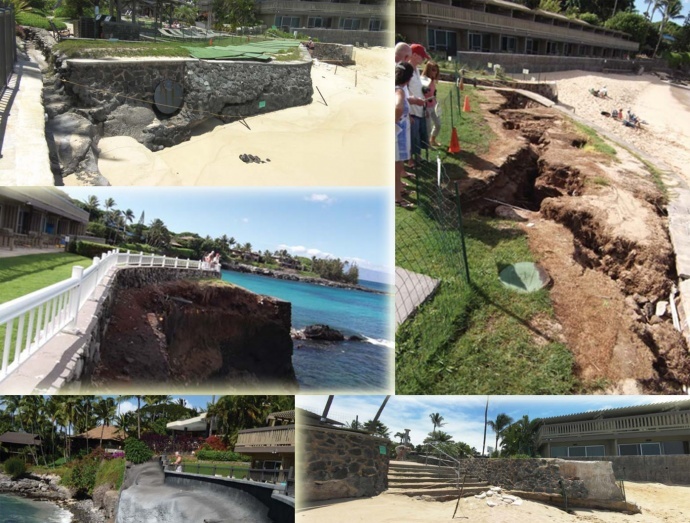 Those testifying against the seawall say hardened shorelines have caused flanking erosion along West Maui shorelines, and assert that installation of a larger, permanent structure at the Hololani Condominium site would exacerbate impacts to coastal ecosystems. 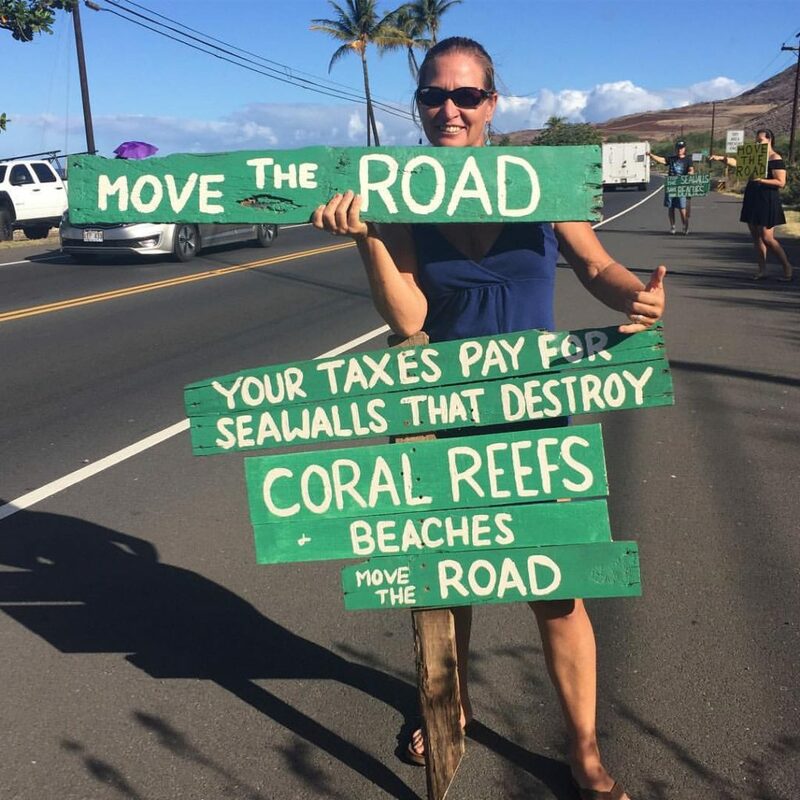 West Maui resident Kai Nishiki, who is a coordinating member of Nā Papa‘i, questioned why the BLNR would approve a permanent seawall while Maui County’s permit only allowed for a temporary seawall until the County completed its regional beach nourishment project for Kahana Bay. 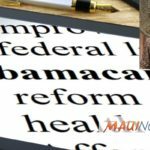 Nā Papa‘i Wawae ‘Ula‘ula is a hui of concerned West Maui residents whose mission is dedicated to protecting and enhancing shoreline access for the public and Hawaiian cultural practices. West Maui Preservation Association is an environmental organization in West Maui. Officials with the Department of Land and Natural Resources responded to our request for comment saying, as per their standard, the department does not comment on active litigation.